The Tasting at The Tents Cookout Competition is exactly what its name implies. Many organizations around campus have entered into the competition to show off their skills in the kitchen (or in this case, the tent). 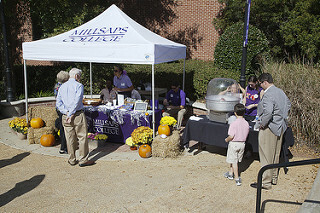 The event will take place in the Millsaps Plaza and fountain area from 10 am to 11:30 am. There will be one overall winner chosen in this competition, and the prize is a $200 programming stipend from campus life.